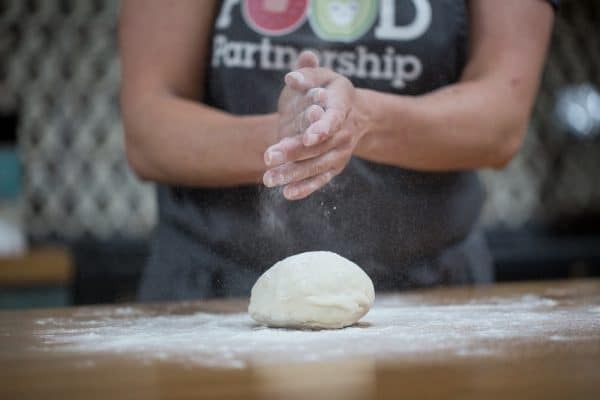 Whether you are an expert cook who loves cooking, a complete beginner ready to learn or a functional cook wanting to take on new skills, Brighton & Hove Food Partnership is there for you. 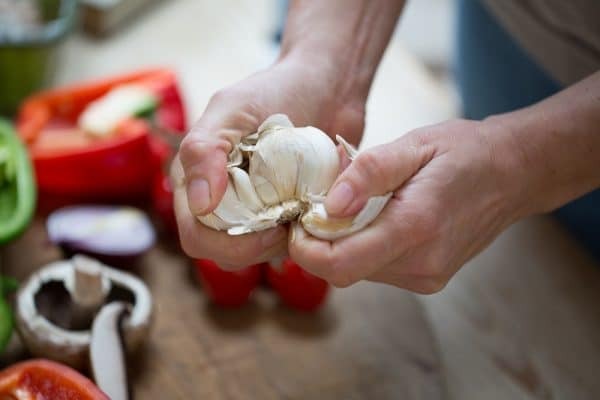 We know we aren’t the only ones who love them, but these are a few things you may not already know about our Community Kitchen. Brighton and Hove now boast a fantastic Community Kitchen which opened earlier this year in May. The kitchen was conceived by, fundraised for and is now run by BHFP. 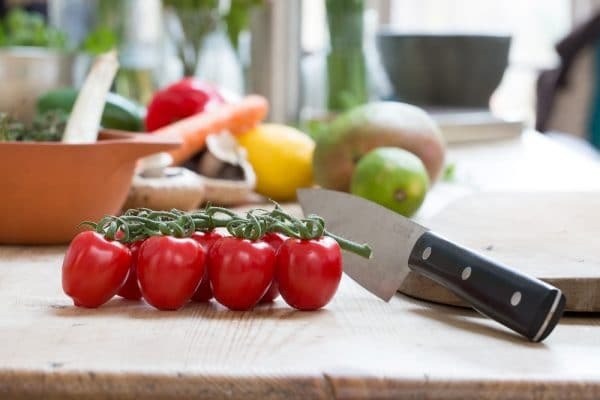 The Community Kitchen now hosts cookery classes, nutrition seminars and skills workshops, bringing together the local community through cooking. The Kitchen is a bespoke cookery school developed to sustainable design principles, however, it wasn’t always like this. For years before the Community Kitchen opened, BHFP ran cookery courses in venues far from ideal. They have run workshops using camping stoves in church halls, small kitchens in community centres and al fresco in gardens all year round. These guys have grafted for sure to get where they are today! 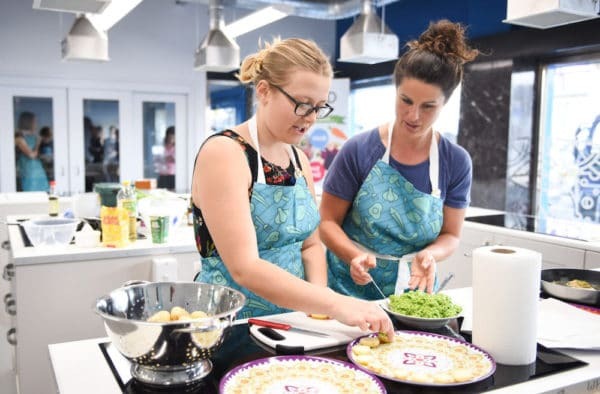 Since opening in May 2018, Brighton & Hove Community Kitchen has more than quadrupled in productivity. In the nine years from 2008 to 2017, BHFP taught cooking to over 1,200 people. Comparatively, in the five months since opening, the Community Kitchen has already seen 250 through its doors. Learn from the best at BHFP. Brighton and Hove’s top chefs are beating a path to the Community Kitchen. Top talents to have chopped, beaten, blended and more on its worktops include those from 64 Degrees, Indian Summer, Isaac At, Silo and Sugardough. 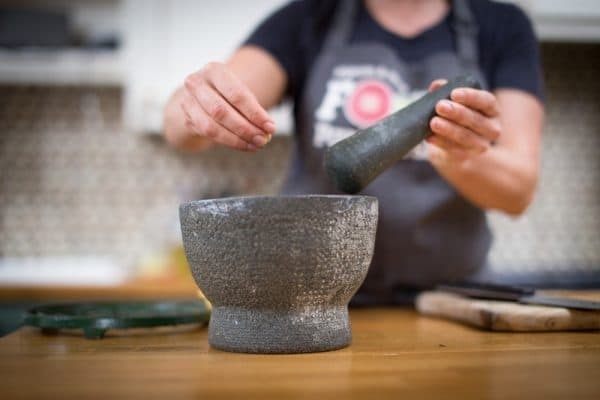 ‘We want everyone to experience the benefits of cooking and eating together’ – All profits from BHFP’s Masterclasses and other cookery classes go to funding community classes in the Kitchen. These include things such as the bursary scheme, funding those who may not be able to afford the full concession price and the dementia friendly food project. 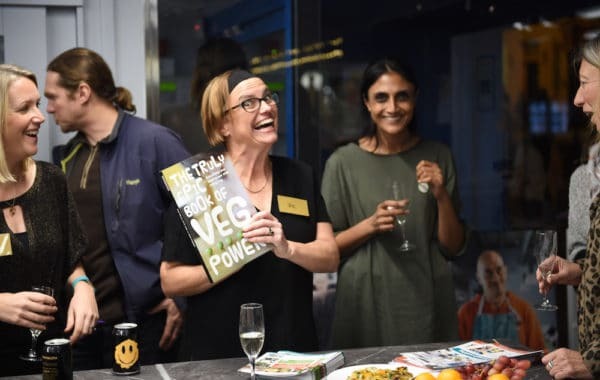 Here’s a fun fact for you… BHFP Director, Vic Borrill, contributed what she describes as a “carroty cheesy savoury flapjack” recipe to The Truly Epic Book of Veg Power where it now sits, very comfortably, alongside the recipe from Michel Roux Jr, the two-star Michelin chef at Le Gavroche! Cool right? It’s not just cooking food that BHFP loves… It’s growing it too. Since the Food Partnership led the regeneration of a neglected area of city parkland at Saunders Park two years ago, it has planted more than 60 different varieties of fruit, herbs and veg in it. Another 15 more varieties are planned for an Edible Hedgerow that is coming soon. BHFP has helped put our city on the food map. For more than a decade It has lead Brighton and Hove’s food strategy work. The strategy aims to tackle health inequalities, reduce food poverty, support local food businesses and reduce the environmental impact of the way we produce, consume and dispose of food. Amazingly, 2015 saw Brighton and Hove become the first city in the UK to be named a silver Sustainable Food City. 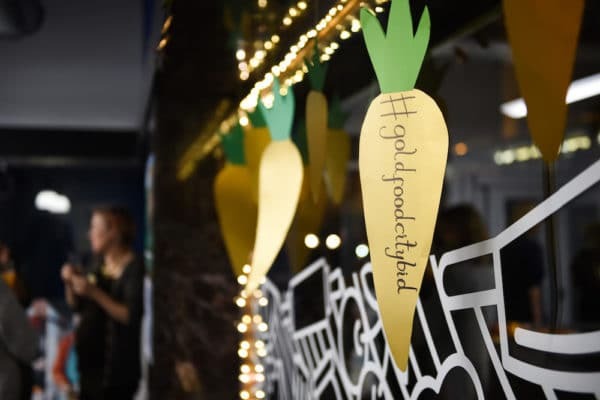 Now BHFP is spearheading the next step, with a new five-year action plan and the formal launch of its bid for the highest Sustainable Food City status. Restaurants Brighton is fully behind this bid. 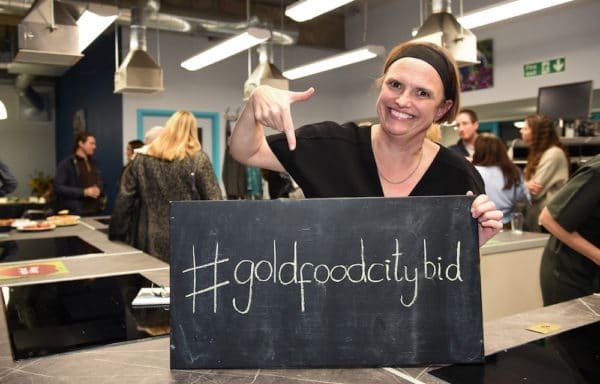 Join us and find out how you can do your bit to help Brighton and Hove Go for Gold!